Series : Book 2 of "Savage Destiny"
The second book in Rosanne Bittner's bold Savage Destiny series continues the love story of Zeke and Abbie Monroe. For the first five years of her marriage, Abbie lives among the Cheyenne, learning their customs and beliefs and giving birth to a son who is as wild and free as his Native American family, and a daughter who will one day be forced to choose between her Indian and white blood. Through real historical events involving the government and Native Americans, Zeke and Abbie cling to one another through danger and torn loyalties. This story vividly depicts the "right" and "wrong" of both sides in the bloody conflicts that arose as the West was settled. Through it all Zeke strives to reach the point where he can provide his Abbie with a real "white woman's" home, where she can set a prized family heirloom, a mantle clock, over a fireplace in a house with real wood floors and a cooking hearth. Though his heart is as wild as his Cheyenne . . .
Devastated by the droughts and plagues that have ravaged her family's homestead on the Nebraska Plains in the 1870s, settler Ingrid Svensson regards wealthy Jude Kingman as her sworn enemy. But Ingrid gradually sees that Jude shares her commitment to seeing justice served, and when personal tragedy strikes at everything she holds most dear, this strong, independent woman must reconsider her previous assumptions and open her heart to forgiveness...­and love. 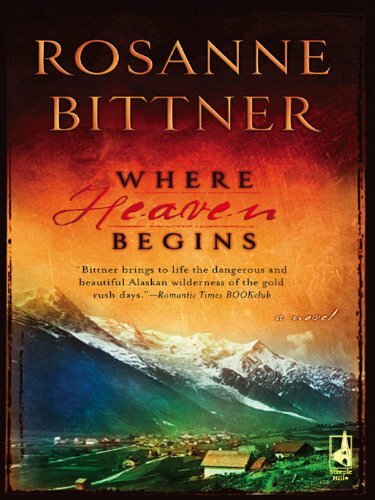 The award-­winning author of over fifty books, Michigan resident Rosanne Bittner is a member of the service organization the Lioness Club, which supports needy families and other worthy causes. She and her husband of thirty-­nine years have two sons. Series : Book 3 of "Savage Destiny"
The third installment of Rosanne Bittner's memorable Savage Destiny series finds Zeke and Abbie Monroe settled into a cabin along the Arkansas River in southern Colorado, where they build a horse ranch amid challenges to their love and their contrasting worlds. As Abbie bears more children carrying their mixed blood, finding a peaceful family life is something that does not come easily. Zeke's Cheyenne relatives face broken treaties, and the building of the Union Pacific cuts a swath of violence and change through the lives of white and Cheyenne alike, forcing the Monroe children to face deeply torn loyalties. New and powerful enemies enter this spellbinding story, and Zeke's love for his Abbie is tested in a totally unexpected way that would devastate the love of most couples with even the strongest relationship. No two people demonstrate the power of love more vividly and with more poignancy than Zeke and Abbie Monroe in River of Love. Named . . .
is the moving story of one woman torn between two brothers who have drastically different visions of the future of their country. In 1780, during the turbulent days of the American Revolution, Annie Barnes is engaged to stable, loving Luke Wilde, an Ohio Valley farmer who is satisfied with his life and not at all sure that it's right or advisable to fight the British crown. But because of a life-­changing experience in her childhood, Annie also has strong feelings for his brother, Jeremiah Wilde, a wanderer who becomes deeply involved in the patriot cause and ends up bringing the war a little too close to Annie and Luke's settled life. As the brothers become dangerously embroiled in the fighting, Annie's relationships with both of them are twisted, tried, and tangled beyond recognition. As Luke and Jeremiah face unimaginable dangers, Annie must confront her feelings about the future-­both of the land she adores and the brothers she can't live without. The second novel in Bittner's . . . In this fifth book of Bittner’s unforgettable Savage Destiny series Zeke and Abbie are forced to defend their children against challenges faced because of their mixed blood. More settlers come west under the Homestead Act, causing the gradual and final demise of the Cheyenne way of life. The surge of new settlers brings with it a wealthy Englishman, Edward Tynes, who builds a cattle ranch near the Monroe homestead and falls in love with Abbie, admiring her strength and bravery, and jealous of her undying love for a man who cannot give her the pampered life Tynes feels she deserves. Zeke leaves to join his warrior son, Wolf’s Blood, in new Indian wars, and for the first time Abbie’s loyalty to her husband is tested. But no man can replace the fiercely brave, strong, handsome Zeke Monroe in Abbie’s life. Climb the Highest Mountain is an action-­packed, powerful love story you will never forget, the fifth in a series still in demand years after its first publication. As railroads etched the earth and fence-­stringers carved the range, the Plains Indians fought desperately in their last days of freedom. Each day, the Cheyenne warrior Lone Eagle and his white woman Abigail Trent felt the pain of change - but each night their fierce, fiery passion obliterated the troubles that arose with the dawn. Warriors and dreamers, pathfinders and rebels, the Monroes are a family divided between their Indian heritage and their white blood. At their head is the indomitable Abigail Trent Monroe, whose love for Cheyenne warrior Lone Eagle became a legend. 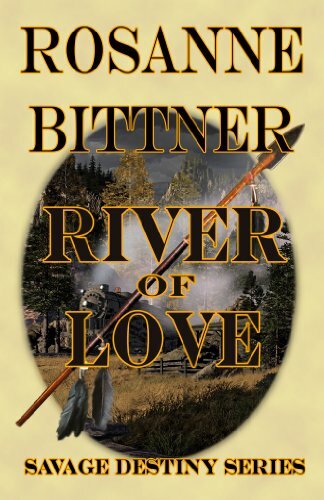 Now, as the clan gathers for a long-­awaited reunion on their sprawling Colorado ranch, old hatreds and new passions explode in heartbreaking tragedy for eldest son, Wolf's Blood; in a forbidden love affair between Abigail's wild grandson Zeke and a rancher's headstrong daughter; and in an agonizing choice Wolf's Blood's young son must make -- a choice that could seal his father's fate.